The Google Chromebook is here — for real, this time. 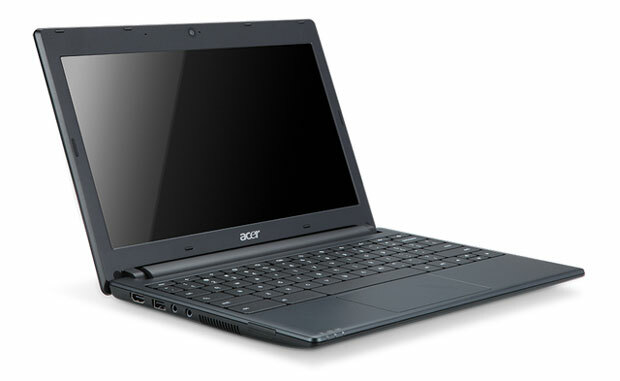 Google first announced the nondescript Cr-48 Chrome OS Notebook back in December of 2010 but the production version, now called Chromebook, was just announced at Google I/O 2011. The idea is the same as the original in that it’s basically a barebones computer that runs Google Chrome OS. In many ways the philosophy is a lot like Apple’s iPad in that the hardware takes a backseat to the user experience. 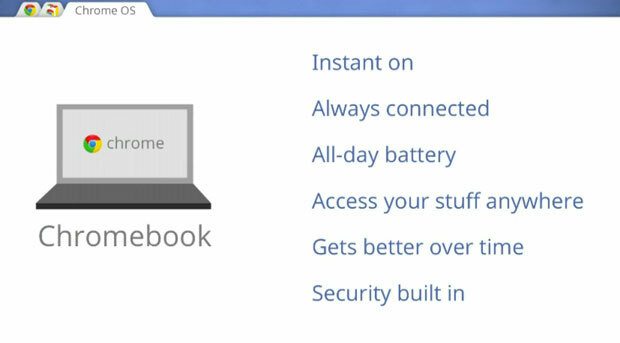 Google is selling a Chrome interaction platform, not a traditional notebook. The hardware seems like a dream machine: built-in security, “all day battery”, and multiple connectivity methods that keep the hardware always connected. The production version now sports an unnamed Intel dual core CPU which should give it much more polished feel than the CR-48 pilot program. External file storage now works, and unlike on the Cr-48, users can plug in a camera or SD card and the Chromebook will mount it automatically. The connectivity of Chromebooks allows users to always have access to their personal cloud. 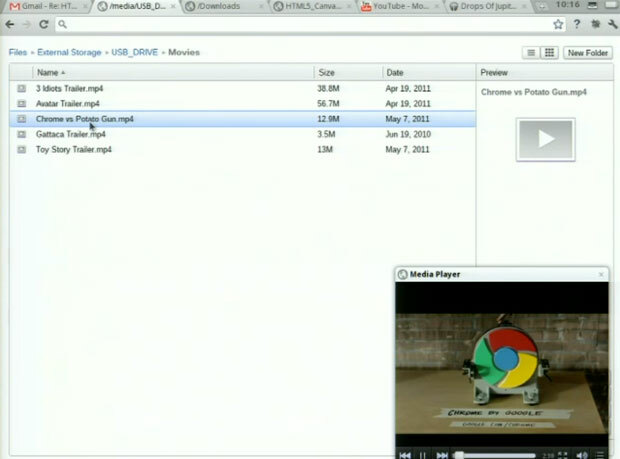 The file manager works in the browser like another tab, but seems to feature most modern file manager features, like specifying default apps for certain file types. Chromebooks don’t always have to be connected, though. There are offline versions of Google Gmail, Calendar, and Docs coming, and Google has reportedly been using these offline flavors internally for some time. However, as great as the Chromebook seems, it’s launching as what sounds like a post-beta product. The company announced on the stage of I/O that Chromebook updates will roll out every few weeks. Sort of awesome but also sort of scary. But that’s just how Google works. The Samsung will run $425 for the Wifi-only version or $499 for the 3G model, which includes 100MB data service. The Acer will cost “$349 and up.” Expect the duo on June 15th from Amazon and Best Buy in the US with leading retailers selling the two in the UK, France, Germany, Spain, Netherlands, and Italy. Google is also targeting the Chromebooks for Education and Business. The education editions cost $20 per student while business pay $28, which also includes new hardware upgrades.